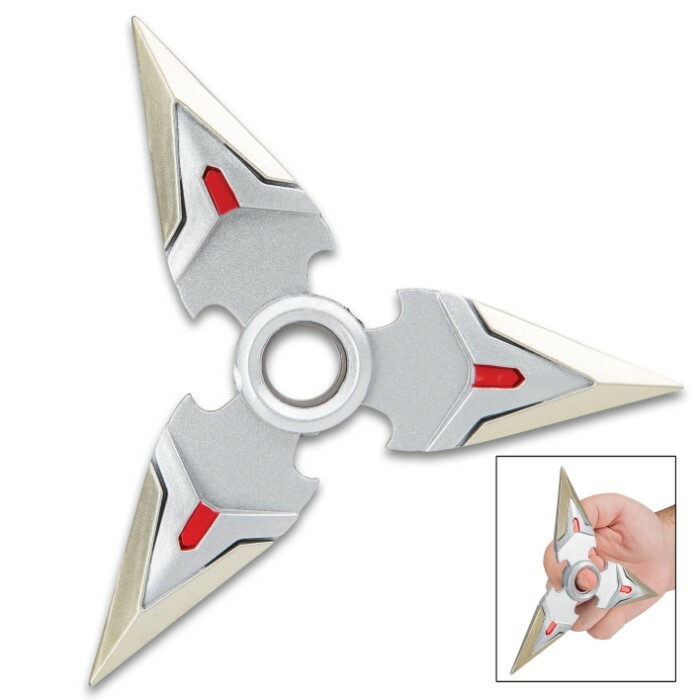 High-Tech Cyclops Fidget Spinner - Solid Stainless Steel Construction, Smooth Bearing, One Finger Use - Diameter 5 1/4” | BUDK.com - Knives & Swords At The Lowest Prices! Can you spin this monster? 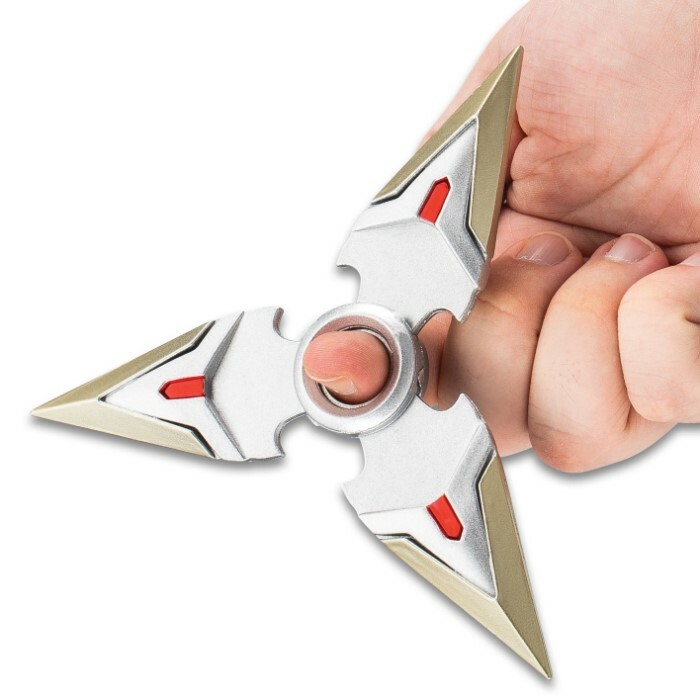 Our High-Tech Cyclops Fidget Spinner is the ultimate in spinner design! The perfectly balanced, tri-shaped spinner has a smooth moving bearing and a spacious center hole for one finger use. It will spin forever! 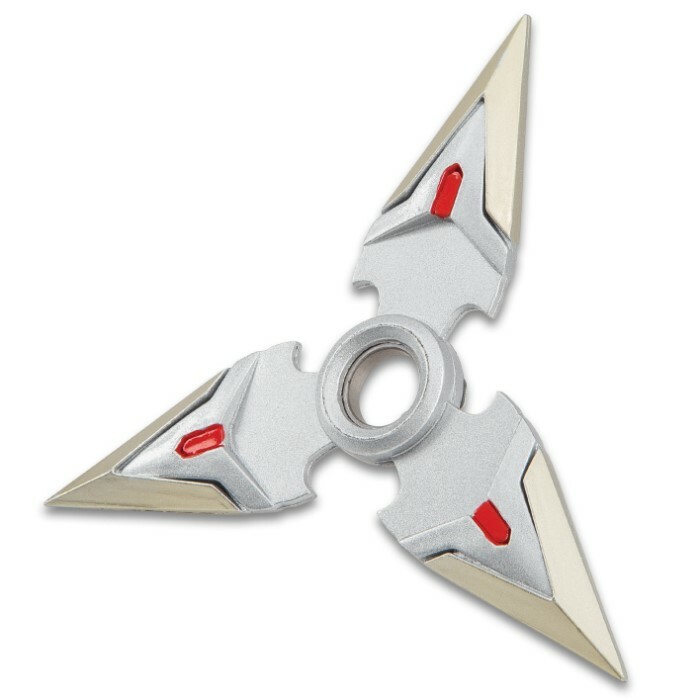 The fidget spinner has a brushed, solid stainless steel construction with satin finished blade tips and red accent pieces. Fidget spinners help reduce stress, increase concentration and relieve anxiety so they are perfect for your office space and the High-Tech Cyclops is the Cadillac!